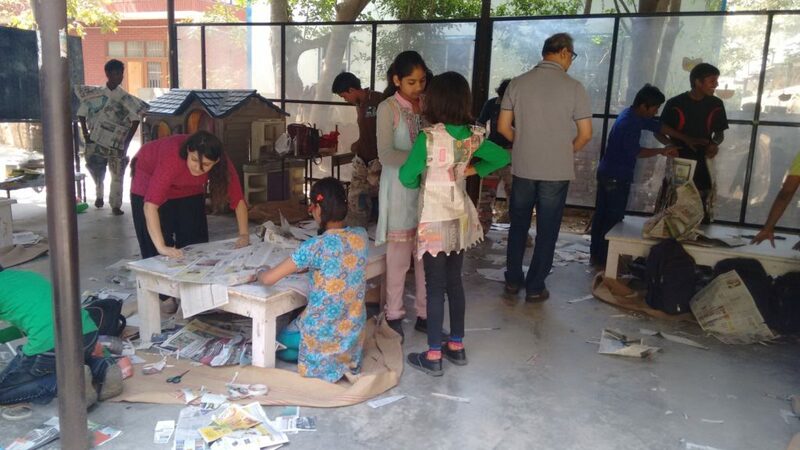 The workshop was planned around initializing and enhancing the perceptual, creativity and dexterity. 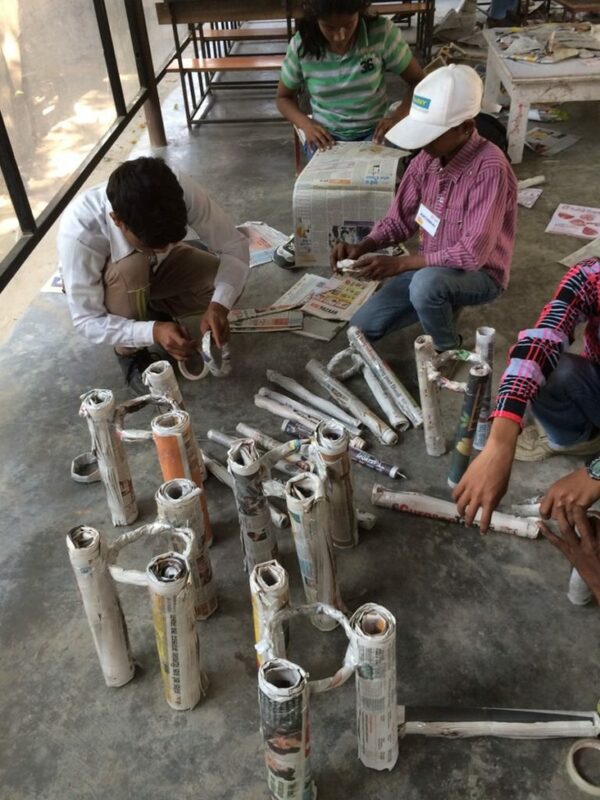 Based on our belief that design is an everyday phenomenon, a series of exercises were organized to sensitize the participants to their everyday environment, and develop a creative ability to view the same environment and its materiality in their own individual perceptual capacity. 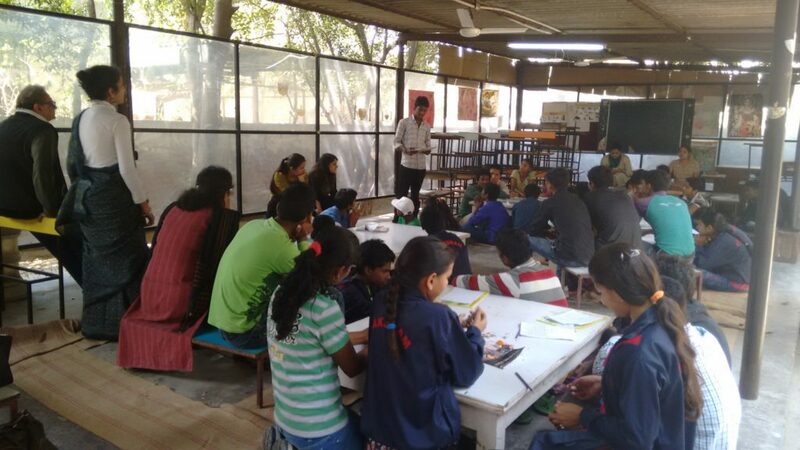 The exercises included sketching their surroundings using various pencil grips and drawing with the left hand (for left hand participants and vice-versa) to stimulate the right side of the brain. 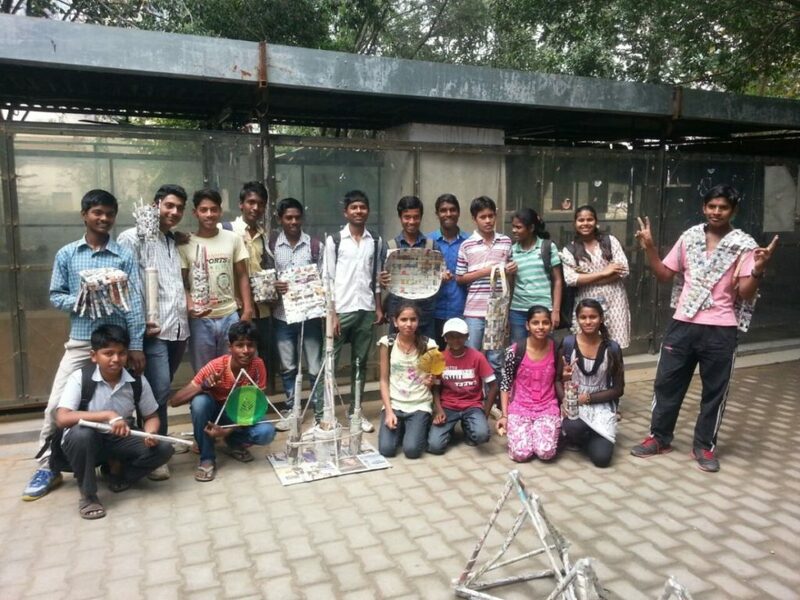 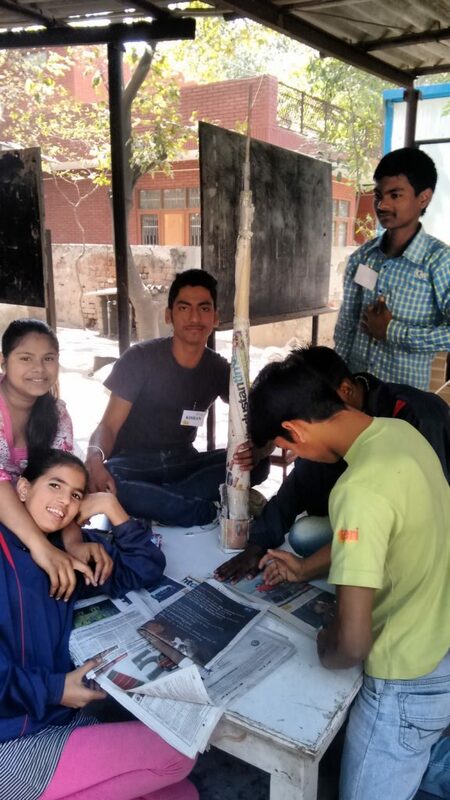 This was followed by a group exercise of building the tallest tower using newspapers – a simple everyday object. 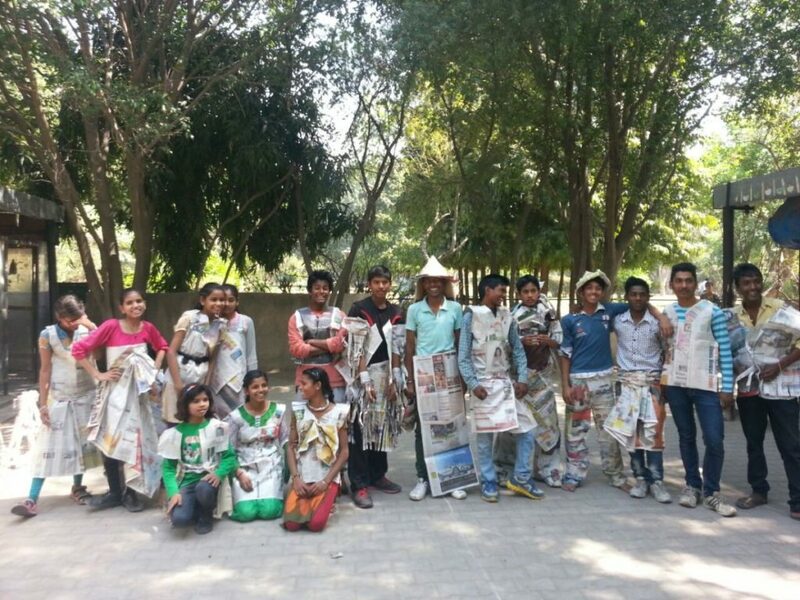 This allowed them to explore working in teams and the material property of newspapers. 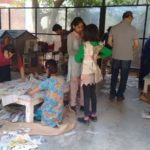 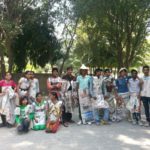 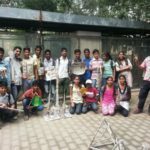 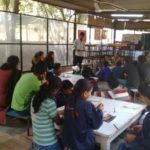 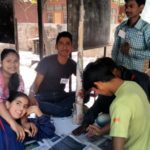 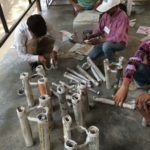 The workshop culminated in an individual exercise where the participant had to produce a creative piece – artwork, sculpture, poem or such, based on individual ideas hence developing an ability to ideate, conceptualize and execute.